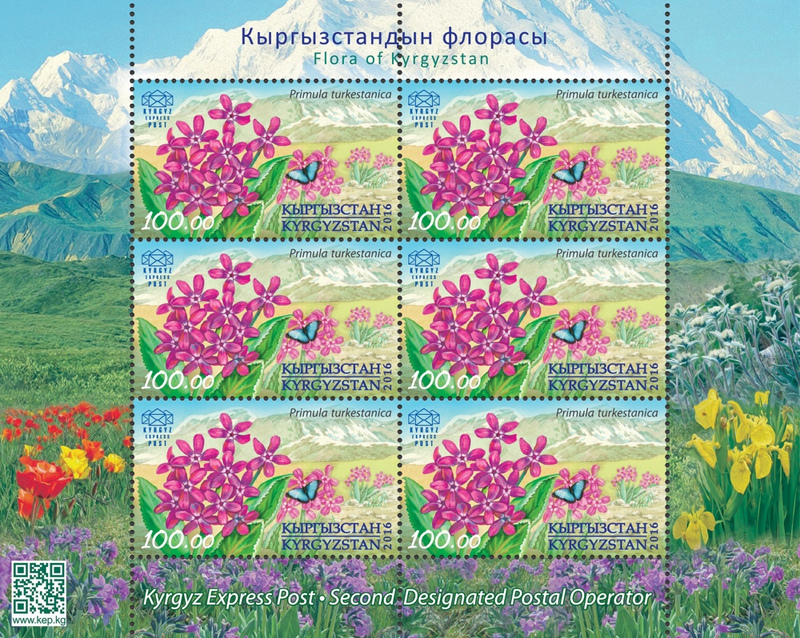 Flora of Kyrgyzstan is notable for its incredible variety and richness. 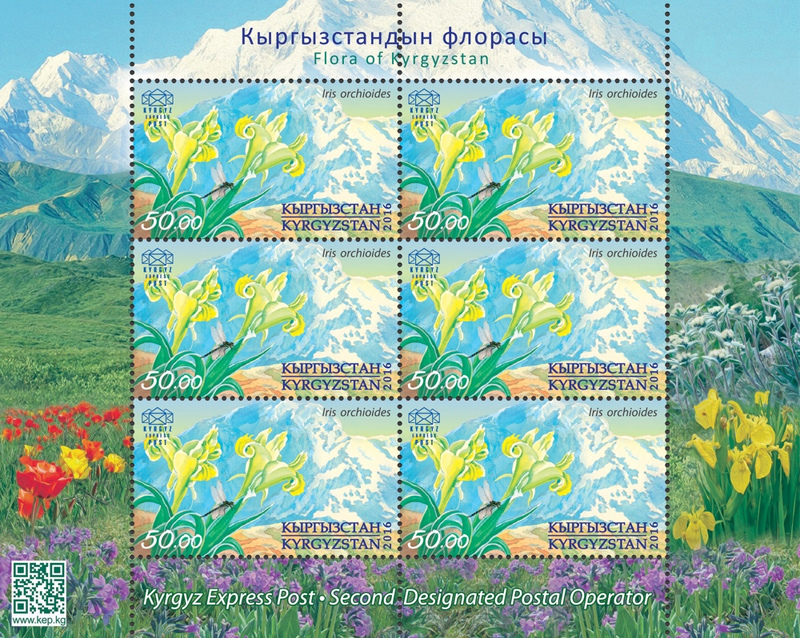 Among the reasons for this phenomenon are: the huge range of land elevations above sea level, the complicated topography and the diversity of soils. 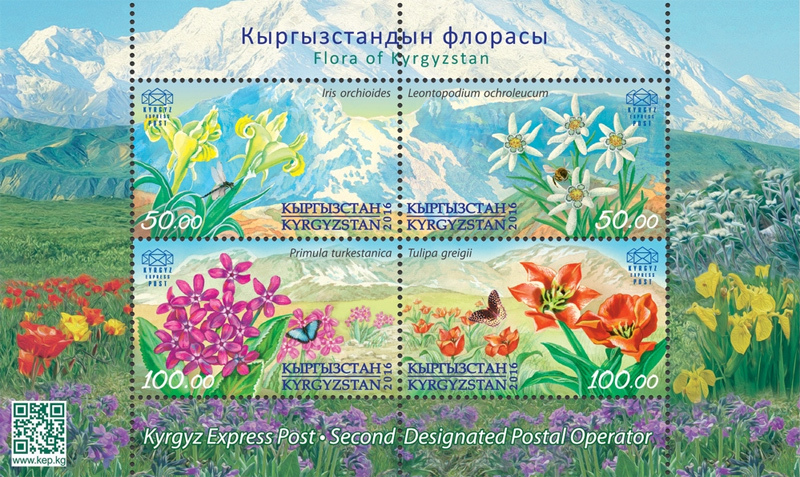 Just the Embryophyta subkingdom alone numbers nearly 4 000 species. 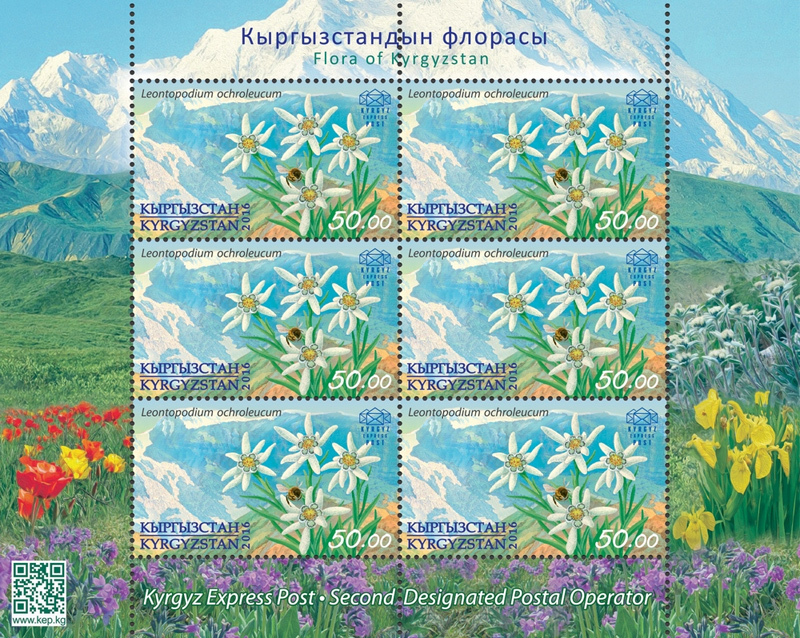 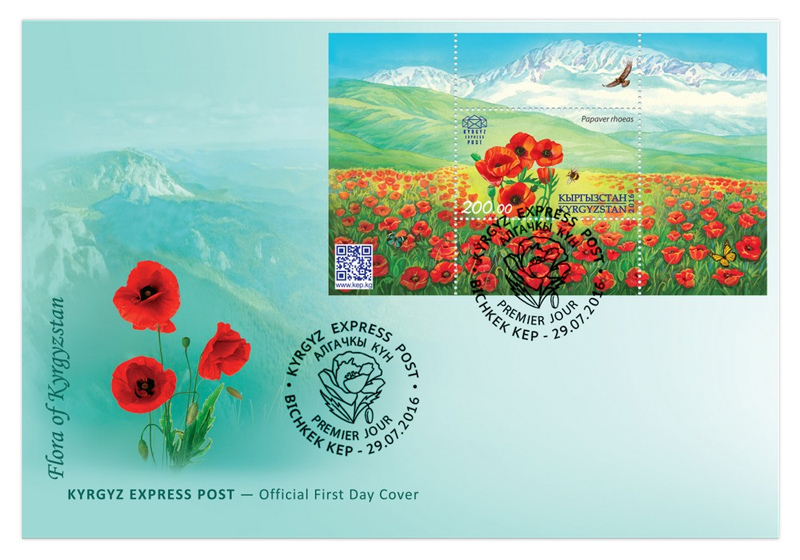 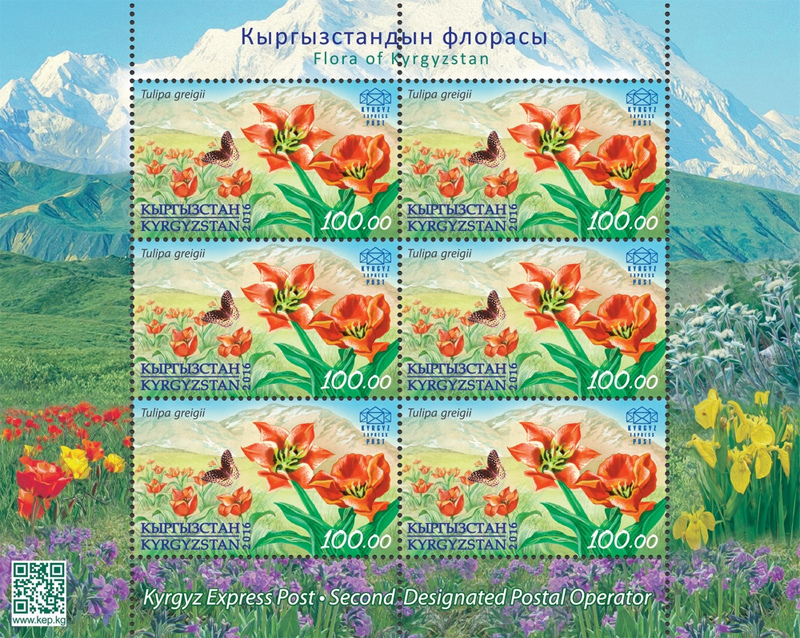 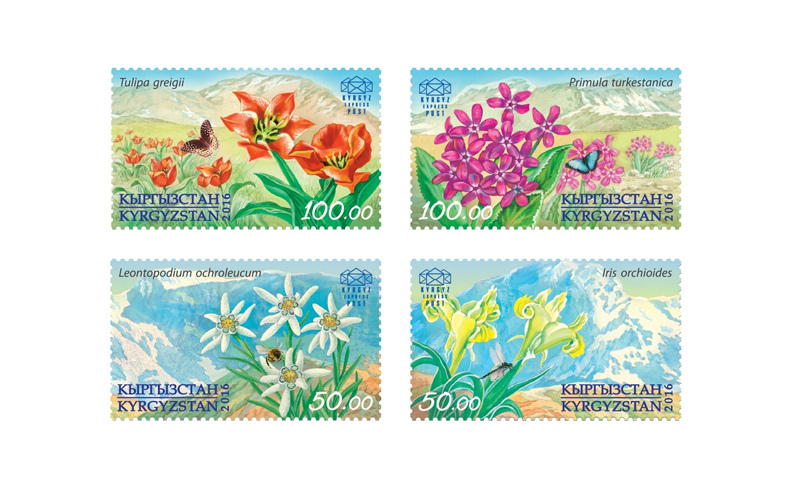 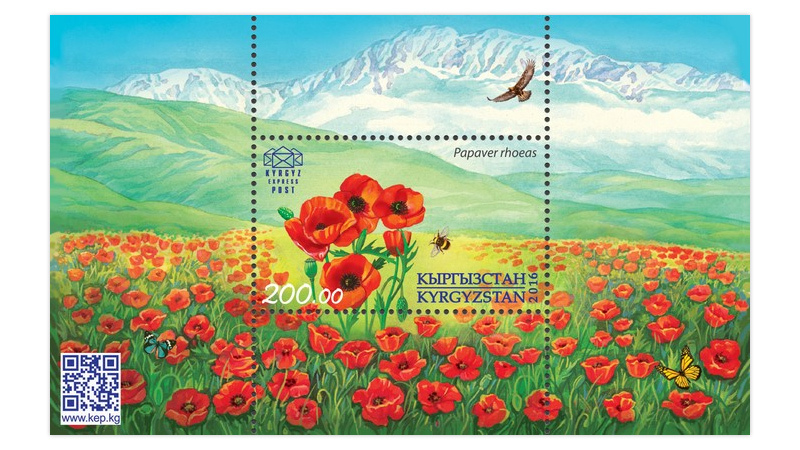 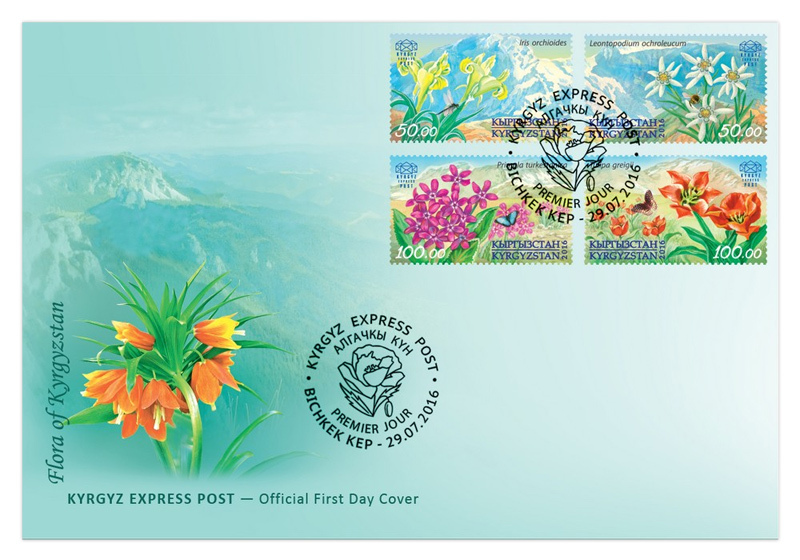 The KEP series consists of four stamps and one souvenir sheet and represents the most famous flowers of Kyrgyzstan, typical for various climate zones of the country.